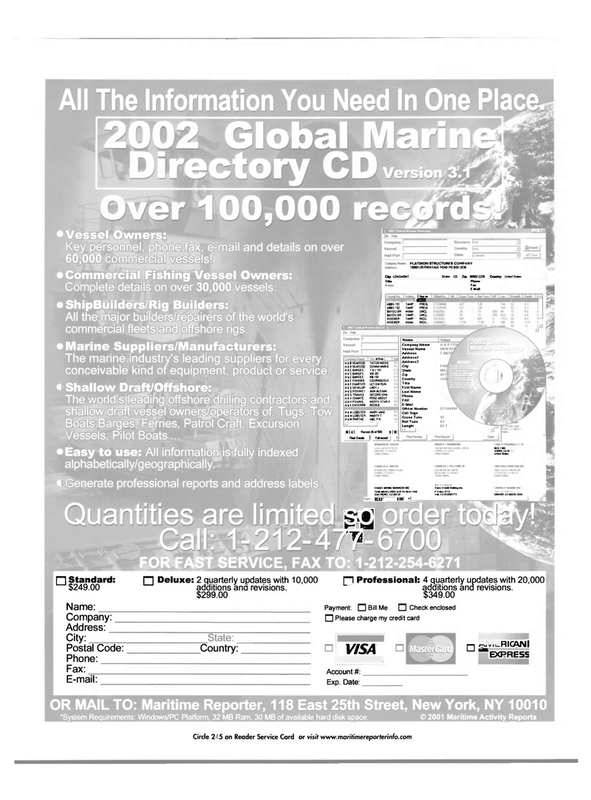 Key personnel, phone,fax, e-mail and details on over 60,000 commercial vessels! Complete details on over 30,000 vessels. All the major builders/repairers of the world's commercial fleets and offshore rigs. Easy to use: All information is fully indexed alphabetically/geographically: 1 Generate professional reports and address labels.